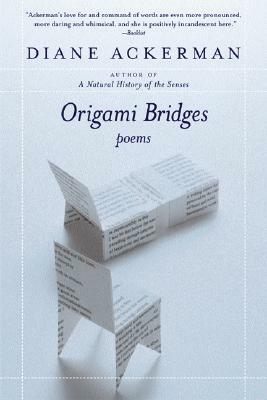 At the heart of Origami Bridges is the delicate relationship of trust between analyst and patient, a relationship that grows out of the emotional give-and-take of the psychoanalytic process. In this collection, Diane Ackerman, with astonishing candor, lays bare her desires, anger, jealousy, fears, and anxiety, as she probes not only her present emotional landscape but also her past. And what gradually rises to the surface is an understanding of how the poet uses verse to purge her demons, express her delight, or confess secret longing, and through this process come to a better understanding of the self.